Gurgaon, September 18, 2017: BML Munjal University, founded by The Hero Group, successfully completed its 2nd annual unique MBA Immersion Programme today. 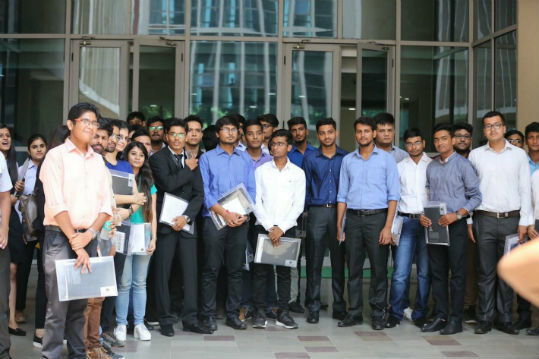 This unique student connect programme is an initiative of BML Munjal University to provide MBA aspirants a first-hand experience, awareness about the MBA programme’s different specialisations and relevance of each in the current market dynamics and how they can utilise their time at a business school in the most effective manner. The MBA Immersion programme aimed to help MBA aspirants to experience a unique pedagogy, gain an overview of what management education is about, and interact with entrepreneurs and business leaders. 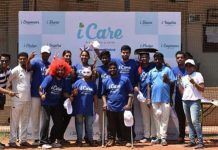 More than 60 students from across 4 cities attended the programme which was packed with workshops, entrepreneurial sessions, case-study discussions, simulations, collaborative peer-to-peer learning, interactive sessions with business leaders, and a visit to the Hero MotoCorp state-of-the-art manufacturing facility. Aashi Gupta added, “I have never experienced such an atmosphere before. I liked the game session that helped us bond with other students and the faculty. The environment of the University is extraordinary. The highlight of the entire experience was our visit to the Hero MotoCorp facility. I express my gratitude to BML Munjal University for giving me an opportunity to be a part of this unique experience”. Trust & Teamwork – students were asked to create simple paper structures in order to understand organisational structures and the importance of organizational trust. Problem Solving by Design Thinking – students were introduced to design thinking tools in order to learn how to embrace different opinions and harness it to solve problems and develop solutions. Cherchez Le Creneau – the session involved understanding the core aspects of management education in order to develop a business idea, define the strategy and build a quick business model and pitch it to investors as a group activity. Foresight: Panel discussion with entrepreneurs and business leaders – the panelists included Gaurav Vohra – Partner in Accounting Advisory Services- KPMG India, Rajiv Mananlal Gupta – Managing Director Nextinc, Russell Longjam – Head of Marketing and Founding Member at Innov8 Coworking, Veer Sagar – The Chairman and CEO Selectronic Equipment and Services Pvt. Ltd, Mr Vishal Talwar – Dean, BML Munjal University, Mr Davinder Singh – Assitant Dean, BML Munjal University.